" a really atmospheric, ethereal, multi-textured, high quality album." Z-Arc's first solo release on Boltfish Recordings is an energetic and futuristic album with rare dreamy interludes, the synthesizers bubbling, punching and flyingthrough a landscape of fractured percussion and crunchy beats. Inspiredmainly by Asimov novels and popular science books concerned with universal atomic expansion - Z-Arc weavesfantastic and cohesive visions of the future with a noticeable trace of cyber-beatnik and a pinch of Jarre-esque mood. The albumincorporates a variety of stylesrangingfrom splinteredmelodic idmthrough todark synthpop and psy-chill; much racier than his previous work whilst retaining the core elements of his meticulous sound design. "Z-Arc remembers the heyday of nascent 90s "electronic listening music" (and 80s EBM industrialisms, too), letting it rip to pretty devastating Accumulative Effect. However lest you figure this mental machine music is all bump and grindhouse, think again: Z-Arc’s far too savvy a programmer to simply leave his sequencers on overpilot and head for the hills. The level of intelligence at work here—deciding on the appropriate direction of the soundstream, carefully considering where to edit and/or delete—enjoins Z-Arc’s creative common ground, in effect, shoring up the ‘I’ in IDM. The cover’s primary colors and exactitude of shape mirror the music well—ditto the pointed sci-fi/futurist track titles. One imagines electrons catapulting off the right angles of "Dihedral," beats sparkling in prismatic glare. Or the fractal bleep of "40 Microns," shapeshifting atmospherics barking like a mad Black Dog. Or the LED backlight charisma of "Refracted", Z-Arc sporting an impish Cheshire grin as he somehow merges the percolating gain of Orchestral Manoeuvres in the Dark with Kirk DeGiorgio’s slo-mo 303 brushstrokes and silvery envelopes. If Klaus Schulze were reincarnated as a malcontent armed to the teeth with latté, laptop, and Cubase, he’d be bending the light fantastic like Z-Arc. Fast fashion Accumulative Effect isn’t, but the sentiment’s all the same: just can’t get enough. " "Kris Derry was definitely inspired by sci-fi novels. The album has futuristic, crystally transparent sound that fills the space around you, a soundtrack for dreaming about the other worlds in other galaxies, dwellings that inhabit far away planets, technoid, advanced new civilizations with highly developed science that are going to rise on the ruins of our world. This music reminds standing at the gates that are going to introduce the listener to the new, better world, it makes one’s mind produce a picturesque chain of images. Kris Derry managed to create a really atmospheric, ethereal, multi-textured, high quality album. The sound sometimes makes one think to Vangelis (as in some parts of the track called Transbeam) and partly (track Dihedral, for example) it made me think to Tzolk’in, although both artists seem to have different conceptions and different approach (I assume the means of expressions sounded similar and made me think so). 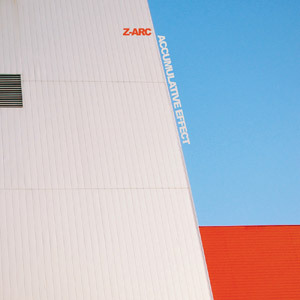 Generally Z-Arc takes much from "industrial" idm (just listen to sophisticated rhythmic structures that fill the space throughout the album), synthpop (lyrical passages, as in track 40 Microns, which make one thing to such bands as Simulator) and ambient/trance music like Aes Dana and HUVA Network. All those genres mix take you and carry far far away, probably so far you wouldn’t like to return back. If you are still not familiar with Boltfish Recordings and Z-Arc act particularly, you still have time to repair an omission." "Some electronic music can be so polished, it verges on sounding antiseptic. So it's refreshing to hear Z-arc's (real name Kris Derry) premiere solo release sound so gritty and grungy in places. The material apparently was inspired by Isaac Asimov novels and science books about universal atomic expansion and the sonic equivalent of that dimension is readily audible in IDM-centered episodes that emphasize signature tropes such as analogue synth melodies, fractured beats, and atmospheric whooshes ("40 Microns," "Theta Sigma"). But Derry works dirt into those episodes too, typically in the form of bottom-heavy funk rhythms that gives the ethereal material an earthy quality ("4001" a good example). "Refracted," one of the collection's best tracks, is a near-perfect marriage of effervescent synth melodies and downtempo funk rhythms, and, believe it or not, the mix of synths-and-beats in "Transbeam" even aligns Z-arc more closely to a hip-hop instrumentalist such as Eliot Lipp more than your standard IDM outfit. The album's strong opener "Dihedral," an aggressive mix of IDM and hip-hop, traffics in that style too, unlike "Airlocked" which combines whir'n'click and drum'n'bass. Adding to Accumulative Effect's appeal is its well-timed forty-seven-minute duration—just about right for a recording of its kind." "Another stonking pure electronica workout from the Boltfish crew, this time coming from Z-arc, previously found on clickclickdrone as well as Octoberman. Everything's in place for a rip snorting set of cuts that vary from dramatic, electro inspired tracks through to more crispy, crunchy and toothsome numbers via some great melodies and chords and there's a really nice variety to the sounds on offer here. Great production and, once again, an absolute bargain at this price for a full length album." "Retro may be such a vague term, but there is nothing misleading about Londoner Z-Arc’s remindful electronic sound. The work of Kris Derry, a former keyboardist in various pop/rock outfits, his "Accumulative Effect" release, on the criminally overlooked Boltfish Records, mixes warm nostalgic synths (think Jean-Michel Jarre) with ricocheting beats that snap, crackle and pop. "Sensor Relays" may leave you half expecting a robotic voice loop declaring ‘Tour de France’ such are the similarities of this composition to the famed Kraftwerk track. But then, the serene, sweeping "Theta Sigma" and brooding "Intersticial" both point to a Vangelis influence, particularly within the exhilarating synthesizer sounds that appear to hark back to his ‘Bladerunner’ phase. It is not all reminiscence though, there’s plenty on offer here to keep contemporary IDM aficionados happy. "Airlocked" is a cold slab of dark electronica bursting with rapid-fire beats that reminds of Khonnor’s lesser known compositions, while "Nestor 10"is notable for featuring the ethereal qualities that so highlighted the recent Near The Parenthesis release. It’s interesting to note that Derry develops his own sequencing hardware as "Accumulative Effect" is a slickly produced record. Each sound is perfectly measured to fit into an overall organic flow, be it the anthem-sized synths of "Refracted", the throbbing basslines contained in "40 Microns", the pristine programming of "Rocket Science" or the clever fills that can be heard in "4001". Within these wide-ranging eleven compositions, Z-Arc successfully blurs the line between man and machine, while paying homage to his influences and updating them with current trends." "..could be... from a science fiction movie soundtrack"